Author: Maupin, Armistead Set In . 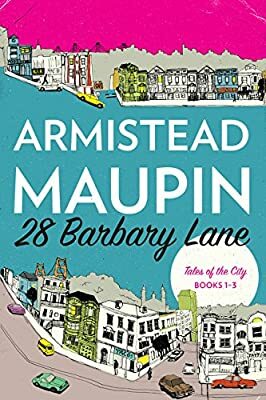 . .
Armistead Maupin's uproarious and moving Tales of the City novels—the first three of which are collected in this omnibus volume—have earned a unique niche in American literature and are considered indelible documents of cultural change from the seventies through the first two decades of the new millennium. Among the cast of this groundbreaking saga are the lovelorn residents of 28 Barbary Lane: the bewildered but aspiring Mary Ann Singleton, the libidinous Brian Hawkins; Mona Ramsey, still in a sixties trance, Michael "Mouse" Tolliver, forever in bright-eyed pursuit of Mr. Right; and their marijuana-growing landlady, the indefatigable Mrs. Madrigal.